Can We Be Julesvernists Again? 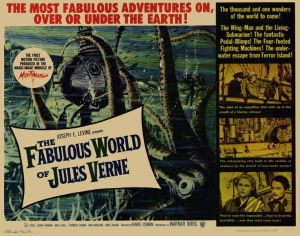 Jules Verne (1828-1905) lived in a time comparable to ours. New technologies were spreading exponentially and combining with each other in a sort of whirlwind. The steam engine, electricity, domestic gas, oil, railways, global shipping, automotive and new instruments of war changed the world and were “disrupting” all industries, all professions, all qualifications within a still largely little mechanized agricultural Europe. 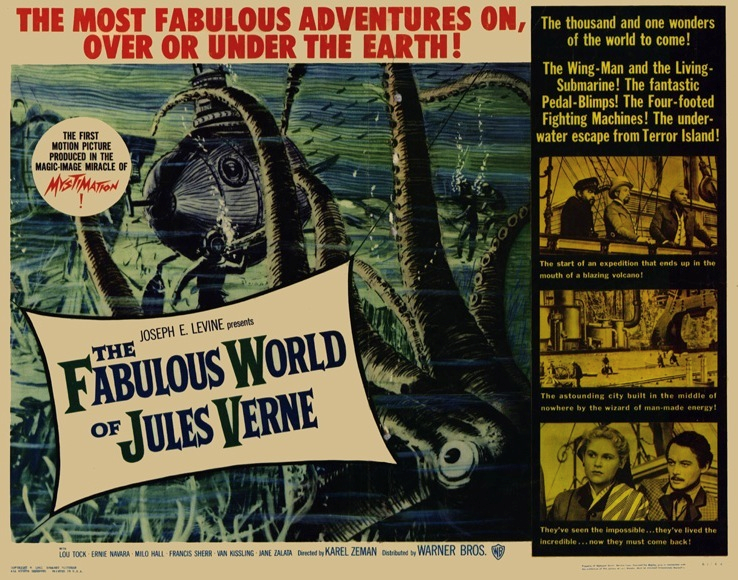 Jules Verne had anticipated developments in fields as diverse as aviation, helicopters, submarines, sea diving and sea exploration, interplanetary rockets, extremely powerful explosives, the most incredible forms of energy, long distance communications, music recording, radio, etc. He also, with his heroes made to please the popular imagination – his Phileas Fogg, his Captain Nemo and Michel Strogoff – announced our Steve Jobs and Elon Musk. Jules Verne has influenced all teenagers, at least into the 80s. Even today he influences several Hollywood directors. Productions such as Ex Machina, Avengers: Age of Ultron and especially Tomorrowland, bear witness to the spirit of exploration. I would see Elon Musk’s desire to go to Mars as a julesvernist reminiscence. 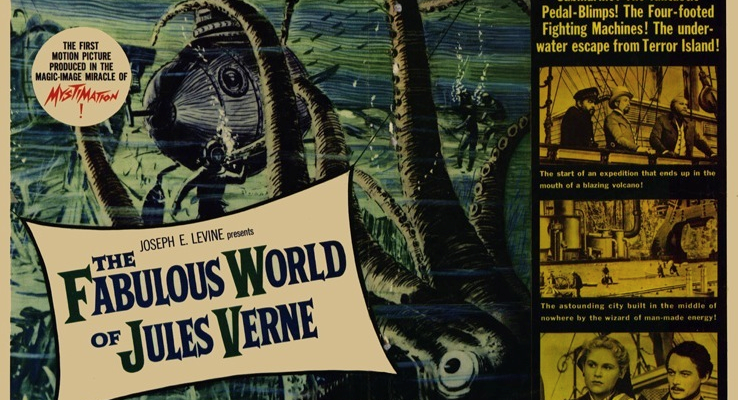 Our time could see the emergence of numerous Jules Verne figures as rapid deployment and multiple combinations of the most advanced technologies allow us to imagine a future even more visionary and progressive than those that were considered by the famous author. We can dream concrete 3D printed houses, positive energy buildings, preventive medical treatment for virtually any illness, flying cars and at least really “auto”-mobiles, etc. But there seems to be a big difference between the time of Jules Verne and ours. During the second half of the nineteenth century, progress appears as a way to compensate the ills of mankind – yet progress itself is embodied by the most invasive technologies, more polluting and more disruptive human kind has ever known. But the belief is that hunger and diseases will be eradicated, education for all will be possible. Technological civilization will be saving the world. It is also true that we imagined then weapons of war and deadly applications of these discoveries such as machine guns, long-range canons, poison gas, etc. (even if the long term deadliest invention of all, in 1884, was never identified as such: automotive). We worried a bit about the disappearance of some traditional trades, but the opportunities were so large that the future looked assured and technology itself would bring solutions to the ills it could have generated itself! Today, with few exceptions, we seem to indulge in contemplating the negative effects of technologies, their impact on privacy, employment, conflicts or on the questioning of the superiority of human intelligence that would soon be supplanted by the artificial intelligence (for me I understood, and accepted, a long time ago that an Excel sheet calculated much faster and better than me). We tend to communicate on fears or on potential regressions where the julesvernism communicated desire, enthusiasm, solutions that technology would bring to the great problems of mankind. Why Become a Julesvernist Today? As in the days of Jules Verne disruptions are legion. New forms of energy, new materials, new media, new intelligences, new medical breakthroughs, new discoveries in astrophysics, new quantum computers, neurosciences, etc. unfold and combine before our eyes to forge a constellation of innovations. The implications for mankind is just as potentially significant. Mobility will see the development of an ecosystem totally new and less absurdly polluting, dangerous and ineffective (in cities) than fossil fuel driven individual car. Global food supply could be ensured, energy could be cleaner, our cities could be greener and more livable; the most dangerous tasks, the most difficult or the most boring, could be spared to humans, etc. That is the « why » be julesvernist today could be obvious if we still accept to believe that progress, as in the days of Jules Verne, also brings new jobs, allows to imagine a greater comfort for men and treats many problems of mankind. The « how » is a little more complex because it requires a different intellectual and emotional effort that the simply enthusiastic optimism described above (admittedly sometimes naive and complacent, as was the case for Jules Verne). It asks us to give up some acquired benefits or to revise some of our pre conceptions. However most of us are more comfortable with a known past than with an uncertain future, even if promising. Yet things are progressing gradually. How many decried the mobile phone at the end of the 90’s saying that they would never get one? Among those who are so happy today that an UBER driver comes and meets them within 5 minutes or that their car can be located in case of aggression, danger or accident, how many have said that they would refuse to be geo-located? How many said they would never be on Facebook and are addicts today? Yes, we tend to change as soon as technology benefits become a bit more apparent. Keynes said in 1933 that the economic crisis, the high level of unemployment, were only « temporary malfunction ». He predicted that thanks to automation and technical progress, his grandchildren 100 years later would be eight times richer and would work only fifteen hours a week. Yes, we are already eight times richer; no, we are not working fifteen hours a week only. He had well estimated the progress and enrichment, he had underestimated the job creation associated with new technologies and progress. Let’s not make the same mistakes. Yes, progress could probably allow us to be richer by eight times in less than a century. No, we will not work less or not much less. It is surprising that while serious problems affecting mankind today, food, aging, health, hygiene, environmental issues in all their forms, the management of our cities, training and education, you name it, we are concerned mostly by the fact that humanity could be deprived of jobs by robots and artificial intelligence. We forget all those jobs that we will need in order to address the many problems we face and that only humans can deliver. Naïveté seems to have changed sides. What if the real issue was not technology but the role of work in our societies? The real question is not about the role of technology but about how we consider and compensate work. If the gigantic needs we have – and therefore the huge need for jobs to supply all the services described above – can not be covered while large segments of populations all over the world have no work, it might be because the gap between what we accept to pay (or work for) and what we want as a social and economic environment becomes absurdly wide. Technologies should allow us to partially reduce this gap but above all, it is a revision of our social model that needs to be addressed. To be julesvernist does not just mean to get over enthusiastic and naive for new technologies and their promises, it is also to question our models, to accept the obsolescence of our societal views, to question our expertise, to challenge our pre-conceived ideas (that is to say designed in a previous time). To be julesvernist is to abandon the illusion that past ecosystem would extend into the future and to « hack » the technologies of today and tomorrow so that they bring real societal, cultural, economic solutions, i.e. to tame them for the purpose of advancement for our societies and our companies.